How would you rate your experience with Gristedes Supermarket ? 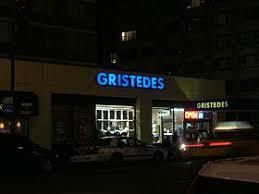 Gristedes Supermarket was founded back in 1888 by German immigrant brothers Diedrich & Charles Gristede. They found work in a local market but soon opened their own gaslit store far from the center of town. Housewives who had to walk or take a carriage were happy to not have to travel so far. The store became so popular that the brothers soon opened 2 more locations. The chain was sold to Southland in 1968 for $11.45 million. Southland, who also owns 7-11 stores, let the chain run on its own with very few changes or interference. By the early 1980s, however, Gristedes wasn’t doing as well and was sold to Red Apple Company in 1986 for $50 million. Red Apple, owned by John A. Catsimatidis and operating in the Bronx as well as Manhattan, now became the largest supermarket chain in New York City. Gristede’s and Red Apple remained distinct, however. Red Apple had completed 14 Gristede’s remodels by the fall of 1987, including adding in-store delicatessens, bakeries, salad bars, hot takeout foods, and upscale cheese, prime-meat, and seafood sections. To keep up with the evolving e-Commerce sales, the company launched its XpressGrocer.com site in December 2003. Gristede’s also began filling orders taken through Amazon in November 2004. The Amazon orders were available to be shipped anywhere in the United States, not just New York. After losing nearly $1 million in fiscal 2002, the company posted a net loss of $11.6 million on sales of $279.69 million in fiscal 2003. The loss was attributed in part to opening seven new stores during the year. The blackout of August 14/15 in 2003 was partially responsible since it caused the loss of perishable food items, such as ice cream and milk. In 2017, the company stated that it was interested in acquiring Fairway Markets. In early 2018, Patch.Com placed Gristedes on their list of the top 4 worst supermarket chains in New York. Headquarters for Gristedes is on 3rd Avenue in New York, New York. 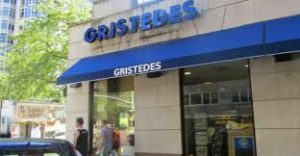 Question 1: What is the phone number for Gristedes Supermarket? Answer 1: The phone number for Gristedes Supermarket is (212) 580-6805. Question 2: Who is the CEO of Gristedes Supermarket? 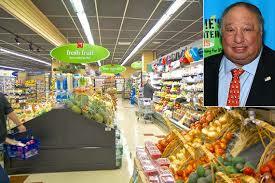 Answer 2: The CEO of Gristedes Supermarket is John Catsimatidis. Question 3: Who founded Gristedes Supermarket? Answer 3: Gristedes Supermarket was founded by Diedrich & Charles Gristede in 1888. Want to make sure Gristedes Supermarket sees your comment or complaint?